An absolutely lucky visit with this gorgeous creature last weekend. I was on my morning photo drive and passing a field when I saw a rather odd shape sitting on top of a grass-covered mound of dirt. 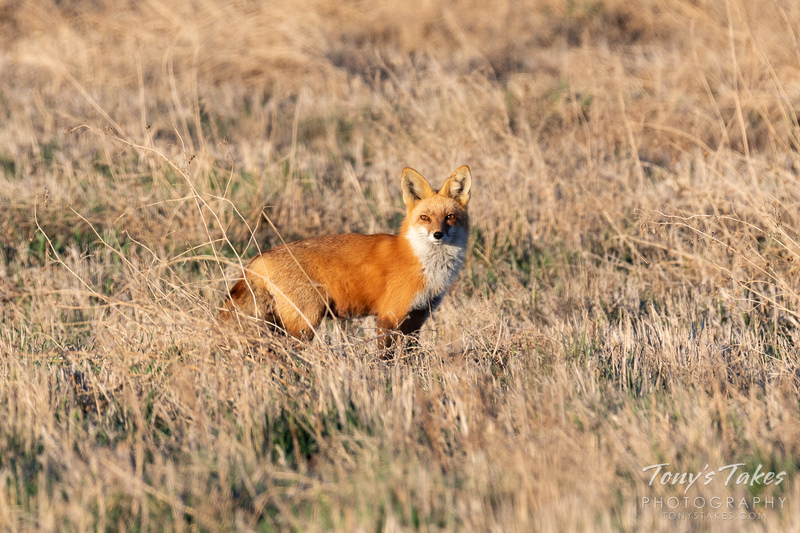 My first instinct was to dismiss it as a prairie dog but decided to stop and zoom in on it with my lens. 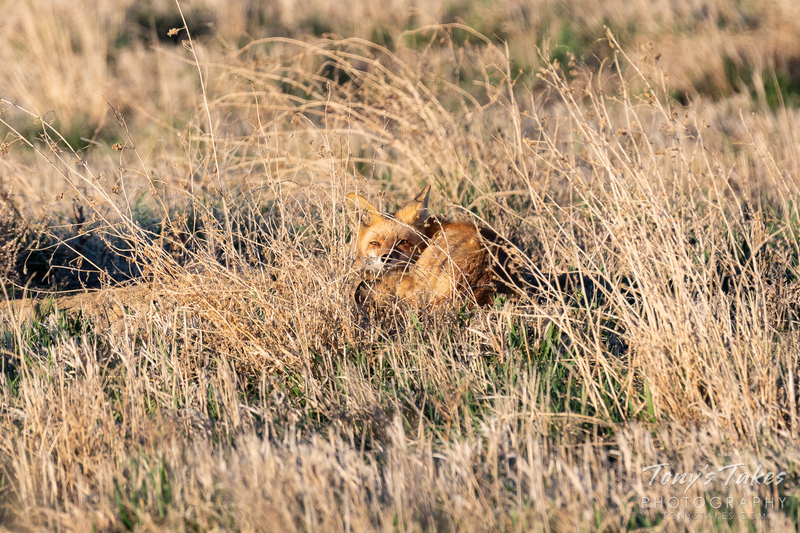 Much to my surprise, among the grasses, this fox was laying down enjoying the mild morning. Of course my stopping got its attention and it quickly stood up. I was only able to snap a few pics before it headed off to a more private location to sleep but as rare as it is to actually see one, I was ecstatic with the brief opportunity. Taken in Weld County, Colorado.